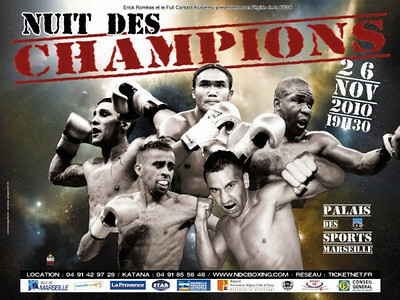 The full card for Nuit Des Champions has been revealed. The World Kickboxing Network (WKN) has been continuing to expand their presence above and beyond their traditional territory of eastern Europe. Once again prominent is their own formatting of rounds which still seems strange to me. I don’t know if this is an attempt to make matches more exciting by reducing round length. As noted in an earlier post about this event it also seems that Europe suffers less from the stigma between full contact rules and Muay Thai being showcased on the same card. Those Full Contact (kickboxing with kicks above the waist only) have always been two minutes rounds mate. Never heard, read or seen it with MT-rules – only Full Contact which is 12 rounds of 2 minutes internationally. If someone is doing it with MT-rules too then WTF? !